CruftFest is where a piece of equipment is re-purposed and used as a digital media controller or a digital media installation. 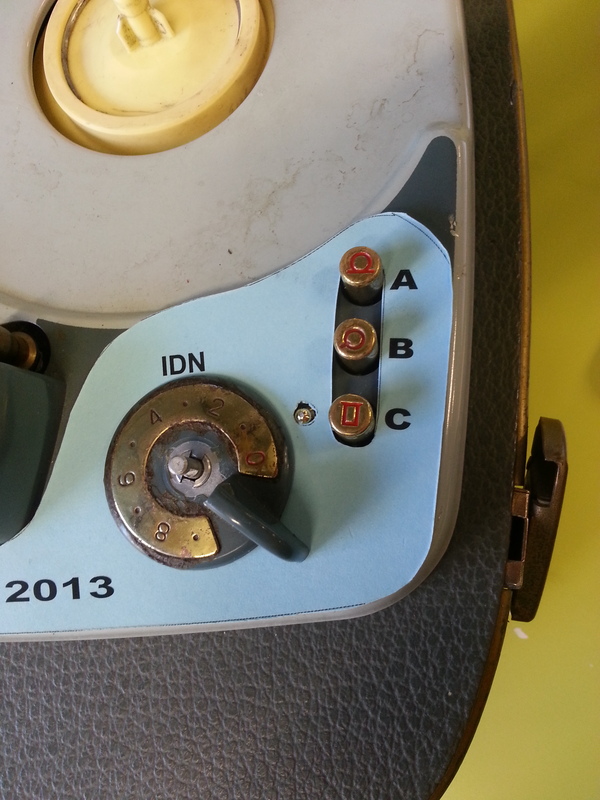 I chose to convert an antique Grundig reel-to-reel player into a digital controller for a movie quiz. With the use of an Arduino board and Max / Jitter, the reel-to-reel player was used to indicate the players choice through use of the original buttons. 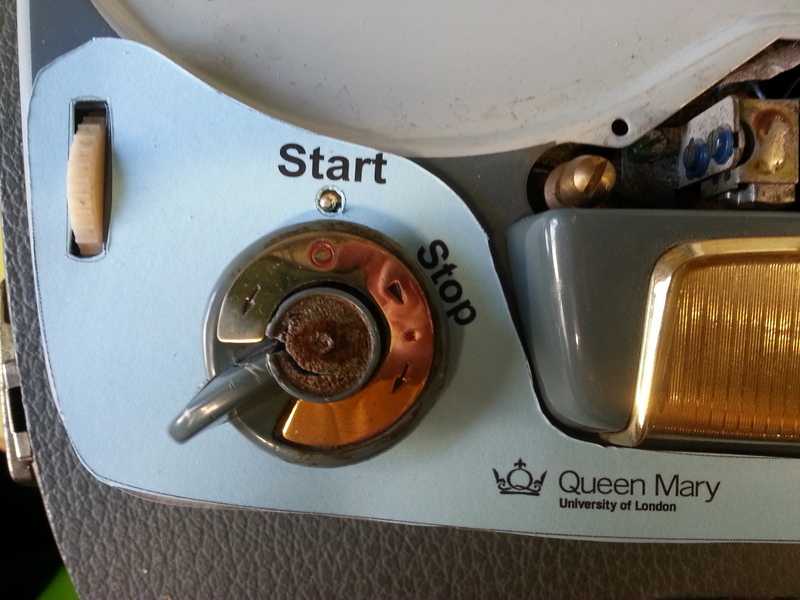 The original start stop switch was also used to kick the system into life! The system starts with a short instruction regarding the operation and then counts down into the first clip. 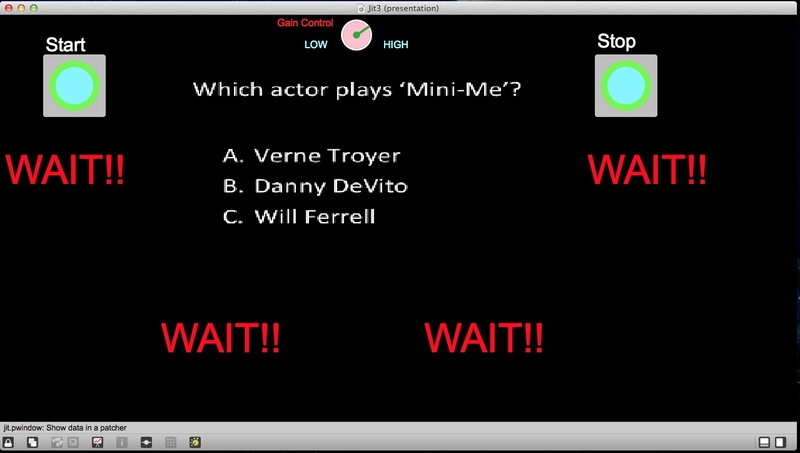 The player gets presented with 4 different movie clips, selected at random from a bank of 8. Once the player has viewed the clip they are asked 2 questions selected at random from a bank of 5. After each question the player has to choose the correct answer from A, B or C. The system keeps track in the correct answers from the player but in the end only tells them if they have got the questions right or 1 or more questions wrong. When a player has a second attempt, the chances of getting the same questions again are low. Even if the same question arises, if they did not win on the previous occasion, they won’t know the correct answer! Pure Meanness! !